Eating in Sevilla - Restaurants, bars and "tapas"
An authentic privilege for the palate. It is the capital of sensations. The Guadalquivir river and the gardens help one to realize that being in Seville is a real privilege. The “tapas” and wine that its bars have, offer the possibility to enjoy something privative of this precious city. The harmonic assembly of all this, will make you notice that Seville is different. The sevillian gastronomy has evolved with the internal and external stimuli that, throughout different times have provided and enriched the numerous people that lived here. Iberian, celts, phoenicians, greek, roman, jewish, goths and muslims have contributed to create the present history of the sevillian gastronomy. They all contributed to uses and customs that have persisted at times until the present time. Modern cookery is mainly based on the now world-wide well-known “Mediterranean Diet” which consists mostly in taking advantage of all the products that our excellent land and wonderful coasts provide us with. Whoever arrives in seville for the first time will be astonished by the great variety of establishments in which to enjoy an excellent proper meal or else to “tapear”, a very extended custom among its people. 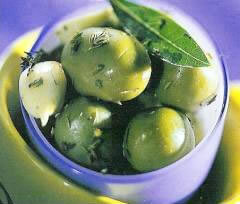 “Tapas” are most popular in our gastronomy. They consist in small portions of either cold or warm food served with a drink before the main meal. Each establishment tries to offer its original “tapas”, and in this way visitors can discover new flavours and seasoned products. It is thanks to these small portions that one becomes familiar with sevillian cooking. We find this peculiar tradition everywhere in the city, in “tascas” or “tavernas” scattered all over the Seville, most of which are more than a hundred years old, or in restaurants along the province in which we can taste typical special dishes from the superb “chacinas” and best quality iberian pork ham to the excellent stews with delicious vegetables grown in the area and that are the unquestionable base of all our elaborations like the spanish stew, eggs flamenco style, gazpacho, bull’s tail, calf, lamb’s stew, etc, etc. We shouldn’t either leave the city without trying in restaurants the famous “fresh fish” in all its variety from the very popular “boquerones” or small fried fish to sea bass, sea bream, urta, dogfish, seafood, swordfish, etc. all of it coming from our near by coasts. To go along with all this we must try the exquisite and local unfermented grape-juice “mosto”, the already famous sevillian beer or the also world-wide known fine winesand manzanilla from Sanlúcar. There also exists a wide diversity of desserts that vary according to the season. Sevillians have a very open character and they love to be in the streetas well as to sit on terraces outdoors. It's not surprising to see how in the streets there are more bars of "tapas" than are restaurants. Contrary to the north of Spain where meals are heavier and more abundant, people in the south eat less and their meals are lighter. 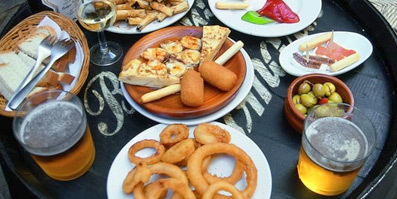 Instead of having a full meal, people often nibble on some tapas or small portions. Besides, the rythm of life is more relaxed and eating is a daily social activity not only reserved to weekends. Try to discover what sevillians eat and how they do it. If you miss the food from your own country or would like to try something different, we also give you some ideas of where to find it. Remember that schedules for meals are different in Spain. They have lunch between 14:00 and 15:00 or even later, and dinner from 21:00 onwards. Sevillians go out for "tapas" in the evening as an alternative to having dinner in a restaurant and they do the same for lunch at midday. “Tapas” are small amounts of any type of andalusian food and normally people take one “tapa” with each drink. Sometimes people also order a “ration” to share and everybody eats frome the same plate placed in the middle of the table. They mostly drink beer, beeing cruzcampo the most popular. This brand, created in Seville in 1904, has become leader in Spain. Another typical drink is “el tinto de verano”, a summer-wine made with red wine and sweet-fizzy water (type seven-up), of orange or lemon. To eat tapas people may sit down at a table or stand up by the bar or small auxiliary high tables. Generally the list of tapas is written on a slate but in some bars waiters will recite the whole list by heart (which makes a bit difficult to remember them all). It is best to ask for “la carta” which is the “tapas” menu. Some bars have them translated into english as well. “Pinchitos morunos” (moorish pinchitos)”: a typical andalusian plate, inherited from the arab kitchen. Pieces of pork or chicken flavored with different spices. "Montaditos": small toasted sandwiches filled with various things, cured ham, anchovies, garlic sausage, prawns, etc. "Gazpacho": typical sevillian plate well known all over. Eaten normally in summer and served as a starter. It is a cold soup made with tomato, cucumber, green pepper, garlic, bread, olive oil, salt and vinegar. “Salmorejo” is the same but without water. Fried fish: whole or cut in pieces, battered and fried, anchovies, pijotas, squids, puntillitas among other things.a good way to try it is order a plate of variety of fish which will contain a bit of everything. Chickpeas with spinach: Sevillian traditional plate. 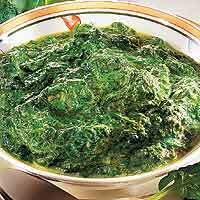 The condiments used to flavor the spinach are fried crumbs, garlic, cumin and some bay leaves with salt and paprika. Menudo: made of calf guts, also called “calluses” in the rest of Spain. It is an abundant and heavy stew, spicy at times although not as greasy as it may seem. It can be stewed with chik peas, garlic sausage, blood sausage, etc. Flamenco Eggs: dish made up of vegetables (red tomato, peppers, peas, string beans, onions, and garlic), chacina (mixture of mountain ham and garlic sausage) and egg. It is baked in a clay pot. Codfish omelette: made of strips of codfish battered, fried and unsalted, plus some garlic, onions and parsley. Ensaladilla: Potato salad with boiled egg, tuna, peas and Maynnaise.